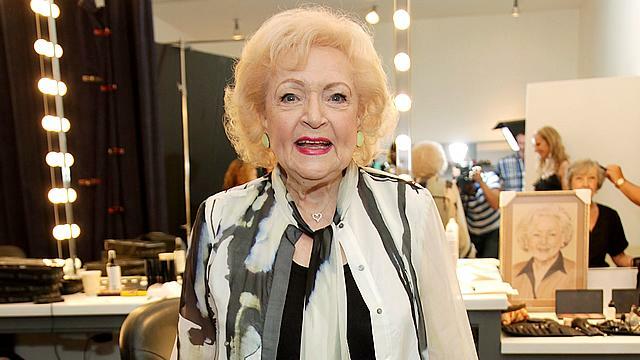 30 Fun Facts About Birthday Girl Betty White! As Betty White reaches another milestone birthday by turning 92 today, we've got 30 fun facts about this Hollywood legend who doesn't seem to be showing any signs of slowing down! Born in Oak Park, Illinois on January 17, 1922, she's of German and Greek ancestry. Moved with her family to Los Angeles when she was two years old. During the late 1930's, was voted the best looking female by her classmates. Before beginning her acting career, worked as a model, with one of her first gigs at the Bliss Hayden Little Theater in Los Angeles. In the 1940s, began working in radio on shows such as Blondie, The Great Gildersleeve and This Is Your FBI and eventually landed her own show, The Betty White Show. Her television debut came in 1949 when she appeared on Al Jarvis' daily live variety show called Hollywood on Television. Played the same character, Rose Nylund, on four different TV shows: The Golden Palace (1992), The Golden Girls (1985), Nurses (1991), and Empty Nest (1988). Frequent appeared on various game shows throughout her career, including Password All-Stars (1961), The Hollywood Squares (1965), Match Game 73 (1973), The $25,000 Pyramid (1973), and others. Has identified her favorite author as L. Frank Baum, who wrote the Oz books that inspired the 1939 film The Wizard of Oz. Originally wanted to become an opera singer but eventually gave up the idea because she didn't think her voice was strong enough. Has been married three times but has no children. Has written six books, including her latest, If you Ask Me: (And of Course You Won't), which was published last May. Among her favorite films are the 1982 movie Tootsie and 1985's Out of Africa. Has a beloved Golden Retriever named Pontiac. Is an avid animal rights activist and supporter of the Farm Animal Reform Movement and Friends of Animals group. Has donated tens of thousands of dollars to the Los Angeles Zoo and has been a member of the board of directors since 1974. Was offered the role of Helen Hunt's mother in the 1997 film As Good As it Gets, but turned down the party because she objected to a scene in which Jack Nicholson's character puts a dog down the trash chute. In 1995, was inducted into the Academy of Television Arts & Sciences Hall of Fame. Nominated last year for her 18th Primetime Emmy for her role on the TV Land comedy Hot In Cleveland. Has a star on the Hollywood Walk of Fame alongside the star for her late husband, Allen Ludden. Admitted to having plastic surgery before appearing on The Golden Girls. Is vegetarian, yet has a hot dog named after her at the famous Hollywood eatery Pinks (the Betty White "Naked" dog). Raised in Los Angeles and graduated from Beverly Hills High School in 1939. Was originally picked to play Blanche on Golden Girls, but it was later decided that Rue McClanahan was better suited to the role. Is the oldest and remaining surviving member of the cast of The Golden Girls. Recipient of the 46th Annual Screen Actors Guild Life Achievement Award. Will host the upcoming NBC hidden camera show Off Their Rockers, in which senior citizens pull pranks on the younger generation.